Among our upholstery home decor supplies, discover our tablecloth weights! As it is all in the detail, purchase cute weights and add a wonderful finish to your table. Did you just buy a wonderful floral decorations fabric for your dining room? You will obviously need our tablecloth weights and tablecloth holders! Stitch stylish tablecloths. Add bias binding, and hold it with our fabulous weights. Tired of the basic black tablecloth, red tablecloth or white tablecloth? Be bold and creative! Ma Petite Mercerie offers a large range of furnishing fabrics for you to create your own and unique home decor style. Available by the meter or by the yard, our fabrics are high-quality and easy to handle. Among our home decor section, we do also supply our customers with good quality towelling fabrics, tapestries and tablecloth weights. 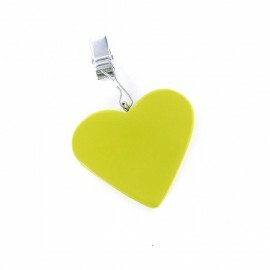 Heart-shaped with bright colours or discreet, choose the tablecloths weight you need to hold on your tablecloth. In need of help with choosing a product? Please email us and we will try our best to find out what you are looking for. Do you organize a picnic and want your tablecloth to remain on the table? 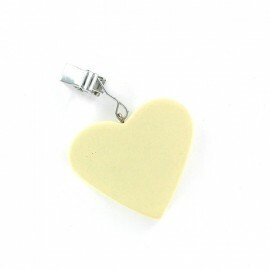 Use our tablecloth weights with cute cream hearts. Purchase our cute gingham polyester check tablecloth, or cotton cloth fabric, and stitch table runner, table cloths, and decorative napkins. Do you want original and unique tablecloth weights? Create your DIY project. Use our pinch clips, ribbons, pearls, and feathers ribbon. Pick as well rhinestones, pompoms and a hot glue gun, in order to create your very own tablecloth weights. For outdoor eating, create wonderful accent cushions. Make a banquet placemats, a lace tablecloth and woven table covers. Use our mauve heart shaped tablecloth weight, so that your table cover remain still. Tablecloth clips adapt to all kind of tablecloth. Indeed, from the outdoor tablecloth and cotton tablecloth to linen table runner, our weights will work. Stitch damask tablecloth, vinyl tablecloth, linen napkins and even round tablecloth! Thanks to our vast range of home decor supplies, be sure to transform your home. Give your home a fresh start for your liking, and without spending much. Did somebody give you a gift card to spend at Ma Petite Mercerie? Purchase tablecloth weights.